The policy of “America first” defended by the current U.S. administration constitutes a declaration of principles. What can Latin America and the Caribbean expect of their northern neighbor? The next meeting of the continent’s heads of state, in mid-April in Lima, Peru, will be an opportunity to see. With the opening of the 8th Summit of the Americas – an initiative of Bill Clinton’s administration to promote free trade – a month off, the White House must prepare the ground. This is the task of Vice President Mike Pence today, during the Organization of American States Council meeting in Washington, where he will offer an unusual speech on his government’s priorities in relation to the continent. Pence will be the first U.S. Vice President to address the body since Democrat Al Gore did so in 1994, reflecting the lack of importance Washington gives this “council of colonies,” except when the U.S. is looking to attack or promote coups in sovereign countries. U.S. officials have already announced plans to redouble aggression against Venezuela, with the overthrow of its government an obsession for this administration, as it attempts to extend an olive branch to others countries in the region and soften its offences. As Pence speaks to the OAS in Washington, meeting in Lima will be representatives of civil society from across the continent, in what is being called a Hemispheric Dialogue, to address issues like forced disappearances, neoliberal austerity measures, lay-offs and pension cuts, murders of journalists, corruption, and the “soft” coups taking place in our region. Simultaneously in Cuba, a Thinking the Americas Forum will take on the challenge of addressing the diversity and richness of Cuban civil society in times of change, to pave the way for a prosperous and sustainable socialism. Three events in three distinct locations, at a key moment in the region, again facing the confrontation of two Americas, two different historical projects, on the same continent. Former President of Dominica Juan Bosch described the Caribbean as an “imperial frontier,” and point of conflict between the economic and political interests of global powers, a reality which hasn’t changed since the time of Christopher Columbus. Behind the façade of beautiful beaches and multi-colored neighborhoods which cover the front page of magazines all over the world, the region has a long history of exploitation, underdevelopment, and power struggles. It seems therefore that despite language and cultural differences, integration among the peoples of the Caribbean is the only possible way to wipe away the vast debts of its colonial past, which some countries, like the United States, are trying to reimpose today. December 8, marks the 45th anniversary of a gesture which transformed Cuba’s relationship with other Caribbean nations. On that date in 1972, the heads of state of Trinidad and Tobago, Barbados, Jamaica, and Guyana, which had recently gained their independence, decided to establish diplomatic relations with the revolutionary government led by Fidel Castro. The decision set off alarms in Washington, which was using all the political means at its disposal to isolate Cuba, whose economy was growing rapidly despite U.S. attempts to sabotage it. “Probably, the leaders of these countries, also considered the founding fathers of the independence of their nations and of Caribbean integration, – Errol Barrow from Barbados, Forbes Burnham from Guyana, Michael Manley from Jamaica, and Eric Williams from Trinidad and Tobago – realized that their decision to establish diplomatic relations with Cuba was paving the way for the future foreign policy of the Caribbean Community, which to this day stands on three major pillars: independence, courage, and concerted action,” stated Fidel on the 30th anniversary of the seminal event. One would be hard pressed to find a single corner of the Caribbean where Cuba has not left its mark. Tens of thousands of collaborators from different sectors, including healthcare, education, engineering, and construction, have helped to transform the reality of some of the region’s most impoverished communities, the ones that don’t appear on tourist posters. Likewise, according to official sources, over 5,000 youth from the Caribbean have been trained in Cuba over recent decades, and are now serving their communities in their native countries. The 6th Caricom-Cuba Summit, which took place on December 8 in Antigua and Barbuda, provided a new opportunity to review the work of the mechanism since its founding 15 years ago, in Havana, 2002. There currently exists broad cooperation across various strategic sectors such as health, sports, education, culture, and construction. But, as has been noted in previous encounters, there remains much more potential to be exploited. According to information presented in March of this year by Cuban Minister of Foreign Trade and Investment, Rodrigo Malmierca, trade between Caricom nations and Cuba exceeded 120 million USD in 2016, almost double that of the previous year. However, this figure still falls below its real potential. The event in Antigua and Barbuda enabled delegations from commercial and business sectors to sit down and evaluate new opportunities in this area. This year the powerful hurricanes Irma and Maria devastated several Caribbean nations, proving the vulnerability of small island nations of the region to increasingly severe natural disasters which affect the area. The force of the winds, and the scale of the disaster, put Caribbean institutions and international solidarity to the test, however it must be noted that neighboring countries were the first to send aid to the most affected zones. In Dominica, where almost 90% of homes were damaged, the most critical victims were transported by air to neighboring islands to receive urgent medical treatment. Likewise, search and rescue teams from Cuba and Venezuela were among the first to arrive in the country to save those trapped by mudslides and floods. Regional organizations such as the Caribbean Disaster Emergency Management Agency (CDEMA) mobilized vital resources and the Regional Security System, in partnership with Caricom, helped to impose order at the most crucial moments. Although Irma caused a fair amount of damage across a good part of the island, Cuba offered help to the most severely affected countries, including Dominica and Antigua and Barbuda. The island also sent a shipment of hundreds of tons of humanitarian aid, including food, construction materials, and brigades of linemen, as well as forestry and construction workers, to support recovery efforts on the ground. Alongside the local people, Cuban healthcare professionals stationed in both countries weathered the impact of the hurricanes, but continued to offer their services throughout. Meanwhile, a special brigade from the Henry Reeve Contingent was deployed in Dominica for a month, in case epidemics broke out. Irma and Maria showed that increasingly severe weather events are just one of many other challenges facing the region, above all attempts by the U.S. to re-exert its dominance in the area. Cuban national hero, José Martí, believed that if Cuba and Puerto Rico secured independence it would prevent the United States from extending its control over the rest of Latin America. In this regard, the position taken by Caribbean nations this year in the Organization of American States (OAS) is proof of the region’s strategic role in blocking maneuvers by the U.S., such as in the case of Venezuela, whose government has come under attack from Washington for attempting to implement profound changes to benefit the population in a country with the largest proven oil reserves in the world. Furthermore, the Caribbean’s longstanding rejection of the economic, commercial and financial blockade imposed by the U.S. on Cuba, show that the fundamental principles of justice, even when defended by small and vulnerable island nations, prevail over pressure and coercionl by a global power. “We face similar challenges that can only be met through close unity and efficient cooperation,” stated Army General Raúl Castro during the inauguration of the 5th Caricom-Cuba Summit, held in Havana. Just over four years ago, when Our America commemorated the bicentenary of its independence struggles, the 33 states of the region came together for the first time, with a common aim. 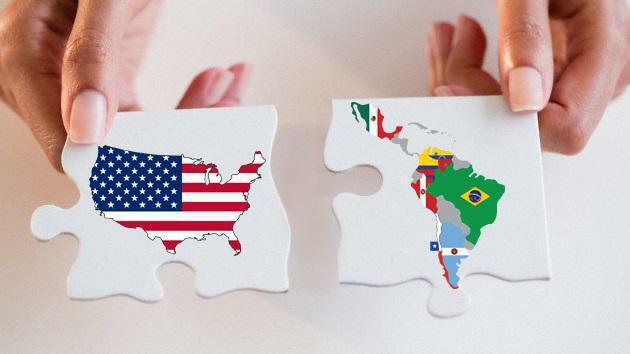 In recent years, the challenges and dangers facing Latin America and the Caribbean have multiplied, due to an increasingly complex and unstable international political and economic situation. As such, working together in unity, while respecting our diversity and our differences, constitutes an indisputable necessity. To this end, the Proclamation of Latin America and the Caribbean as a Zone of Peace, officially signed in Havana on January 29, 2014, commits us to respect the inalienable right of every state to choose its own political, economic, social and cultural system; to peacefully resolve our differences, and not to intervene, directly or indirectly, in the internal affairs of other states. Latin America and the Caribbean remains the most unequal region in the world in terms of wealth distribution. Current statistics, despite the questionable concepts on which they are based, demonstrate that 397 million of our citizens, or 63%, are immersed in a state of vulnerability and poverty, a figure that could increase, given the adverse international economic conditions. That a single Latin American or Caribbean go hungry, or not know how to read and write, or be plunged into poverty, is a concern for all, which we must resolve together. That in Latin America and the Caribbean differences proliferate, and we are unable to solve them by means of dialogue; or we are intolerant of the diversity of political, economic and social systems; or indifferent to the very particular problems of small island countries in our region, is also a problem to solve among ourselves. Cuba believes in cooperation, solidarity and the need for collective action, beyond egotism and intransigence. We have in CELAC the principles and mechanisms to achieve this. We enjoy, among the achievements of this Community, instruments to define common positions in extra-regional relations, in compliance with the tenets of the Proclamation (of a Zone of Peace), which all states are urged to fully respect in their relations with our countries. In this spirit, we are profoundly grateful for the solidarity of our brothers and sisters in Latin America and the Caribbean regarding the demand for an end to the economic, commercial and financial blockade imposed by the U.S. government against Cuba, which remains intact despite the reestablishment of diplomatic relations between the two countries; the support for the territory illegally occupied for over a century by the naval base of the United States in the Cuban province of Guantánamo to be returned to our people; and support for legal, orderly, safe migration in our region and an end to policies such as the wet foot-dry foot” policy, which encroach on the human rights of migrants and create many difficulties for countries in our region, particularly transit countries. In the same vein of solidarity, we reiterate our strongest support to the Bolivarian Republic of Venezuela, the victim of a complicated international economic situation, aggravated by prolonged economic, media and psychological warfare, and numerous destabilizing acts encouraged and supported from abroad. We demand the repeal of the Executive Order of President Obama, declaring Venezuela a threat to U.S. national security, and the elimination of the sanctions applied on this basis to Venezuelan citizens. We reiterate that the Venezuelan government and people deserve the broadest regional and international solidarity. We note the progress made in the peace talks between the government of Colombia and the FARC-EP, which are closer than ever to ending the conflict that has afflicted the country for over half a century. Cuba, as guarantor and host nation, will continue contributing to these efforts. Our support for the people of Puerto Rico in the search for self-determination and independence remains invariable, as reiterated by CELAC. We support the efforts of the Argentine Republic to recover the legitimately Argentine territories of the Islas Malvinas, South Georgia and the South Sandwich Islands. We continue to accompany the Republic of Ecuador in its demands on transnational corporations who refuse to recognize and correct the serious ecological damage done in the Amazon, and the government of the Citizens’ Revolution against destabilizing attempts. We also extend our solidarity and support to President Dilma Rousseff and the brotherly people of Brazil in the battle being waged to defend the social and political gains of the last 13 years. We stand in solidarity with the countries of the Caribbean in their great efforts to address the effects of climate change; we reject the unfair policies of international financial institutions which prevent their access to financial resources due to their Gross Domestic Product, and we support their demands for reparations for the damages of slavery and colonialism. Tomorrow, January 28, the 163rd anniversary of the birth of Cuba’s national hero, José Martí, author of the political essay “Our America”, which constitutes a fundamental contribution to the ideals of the continental, anti-colonial and anti-imperialist unity of our peoples, will be commemorated. With his foresight, Martí called on us to implant the world in our republics, but noted that the trunk must be that of our republics. Tonight, young Cubans, in tribute to Martí, will march with their torches held high from the University of Havana to the site where he suffered imprisonment and forced labor; this is a tradition dating back 63 years, in which many of our heads of state and government participated, on the occasion of the Second CELAC Summit, held in Havana two years ago. Allow me, finally, to congratulate the Republic of Ecuador and its President Rafael Correa for their efforts in leading CELAC, and thank the Ecuadorian people for welcoming us so warmly to their country. We pledge our support to the Dominican Republic and President Danilo Medina during their period leading the pro tempore presidency of CELAC that commences now. The Ecuadorean president argued that forcing Latin American countries to travel to Washington to settle disputes is an outdated model for the region. Ecuadorean President Rafael Correa said Wednesday that the Community of Latin American and Caribbean States, known as CELAC, should replace the Organization of American States as the regional integration mechanism for Latin America. “Our perspective is that we hope that CELAC replace the OAS very soon,” said Correa during a press conference in the Presidential Palace in Ecuador’s capital city of Quito. Correa reiterated his opinion that it is not appropriate that Latin American and Caribbean states have to travel to the OAS headquarters in Washington, instead of being able to settle disputes on their own turf. Correa also warned that the resurgence of right-wing politics in the region threatens to undermine the integration progress made in recent years. “Experience has shown that beyond the ideological orientation of the government, integration is a common denominator,” said Correa, adding that the regional fight against poverty must continue to be a CELAC priority despite ideological differences between its members. The president’s comments come ahead of the annual CELAC Summit, to be hosted in Ecuador next week at the UNASUR headquarters north of Quito. Correa also announced plans to urge CELAC to support a U.N. initiative aimed at holding transnational corporations accountable for human rights abuses. The proposed mechanism would be similar to the Hague International Court of Justice and act as a counterweight to the World Back investor-state arbitration that allows corporations to sue countries over policies that infringe on their future profits. CELAC was founded in 2010 and is made up of 33 countries of Latin America and the Caribbean. Unlike the OAS, which was founded in 1948, CELAC does not include the U.S. and Canada. These gatherings constitute the highest level of the Community, and are authorized to designate the site of the next Summit, which is to be in the country serving as president pro tempore; define political directives and guidelines, along with the establishment of priorities and action plans to accomplish CELAC objectives; and adopt strategies for relations with third countries, and international, regional and sub-regional organizations and forums, among other responsibilities. These occur twice a year and are devoted to adopting resolutions and making statements on issues of regional or international interest to member countries. This responsibility is exercised by a member country for a period of one year, and involves preparing, convoking, and presiding the annual Summit, meetings of Foreign Ministers, and those of national coordinators, as well as meetings of regional and sub-regional mechanisms of integration. Addressed during these gatherings are topics of mutual interest, identified as priorities for the promotion of regional unity, integration and cooperation. Such meetings are called by the pro tempore president, in accordance with the organization’s two-year work plan. Member states are linked to the presidency via national coordinators, who are responsible for coordination and follow-up on issues under discussion. On the national level, the coordinator takes charge of addressing the issues of regional unity, dialogue and concerted political action in the interest of advancing CELAC’s agenda. Also known as the expanded troika, this leadership body includes the member country serving as president pro tempore, in addition to the country which held this position the previous year, and that scheduled to do so next, plus a representative from the Caribbean Community (Caricom). The incoming Quartet will be composed of the Dominican Republic, which will assume CELAC’s presidency pro tempore after the Quito Summit; Ecuador; Bolivia; and Belize, current Caricom president pro tempore. Among the principal objectives of the upcoming Summit in Quito, where the Dominican Republic will assume leadership for 2016, is putting into action proposals made by the government of Rafael Correa on the elimination of poverty and reducing inequality. CELAC represents the united vanguard of integration in Our America. The 4th Summit of the Community of Latin American and Caribbean States (CELAC) will take place January 27 in Quito, Ecuador, where the organization’s 33 member nations will have the opportunity to reaffirm the objectives which unite them. Over the organization’s first four years, our peoples have made important progress, having achieved the establishment of such an entity to confront the region’s challenges together. During 2015, with Ecuador serving as pro tempore president, the Community’s agenda has included issues related to family framing, and approval of the 2025 Food Security, Nutrition and Eradication of Hunger Plan. CELAC relations with China, the European Union, and other regional blocs will also be discussed. In accordance with the organization’s foundational charter, CELAC seeks to deepen economic, social and cultural integration within the region, based on full respect for democracy and respect for human rights. Prioritized is further development of political dialogue among member states, based on agreement, shared values and principles. The organization is intent upon becoming a stronger platform for political agreement and consolidating its position internationally, which can be translated into rapid, effective action to promote Latin American and Caribbean interests with respect to issues on the global agenda. Efforts to undermine the government of the democratically elected president Nicolas Maduro continued in Venezuela on Friday (July 31) in Bolivar state with the looting of a supermarket warehouse and other shops in the south-eastern city of Ciudad Guayana. A fruit and vegetable worker died near the violence as a result of a gunshot wound to the chest, local media reported. For some time now Latin American leaders have expressed their concern over the clear destabilization activities in Venezuela which came to a head early last year when right-wing violence captured some sections of the country and their actions given sensational and misleading publicity in the mainstream US press. Regional blocs like ALBA and CELAC have condemned the Chile-style onslaught on Venezuela (and now Ecuador) expressing the desire to maintain the Havana, CELAC declaration which stated: “We declare Latin America and the Caribbean as a Zone of Peace based on respect for the principles and rules of International Law, including the international instruments to which Member States are a party to, the Principles and Purposes of the United Nations Charter”. The record of the Chavista government in its effort to rid the country of poverty, to significantly reduce inequality and generally to improve the quality of life of the poor is commendable. According to Harvard Review of Latin America “Venezuela has seen a remarkable reduction in poverty since the first quarter of 2003. In the ensuing four years, from 2003 to 2007, the poverty rate was cut in half, from 54 percent of households to 27.5 percent. This is measured from the first half of 2003 to the first half of 2007. … Extreme poverty fell even more, by 70 percent—from 25.1 percent of households to 7.6 percent. More recently, UN statistics showed that in 2012 Latin America led the world in poverty reduction and Venezuela led the region in this commendable achievement. And in March 2015, Alicia Barcena, executive secretary of the U.N. Economic Commission for Latin America and the Caribbean (ECLAC), praised Venezuela for its efforts to eradicate poverty in the country. “What you are doing here, the concept of going out into the (low-income) neighborhoods, to the places where there is the most poverty, it is an excellent proposal that should be examined by other countries,” said Barcena. Venezuela’s accomplishments under the Chavistas are not limited to poverty reduction. At the 59th United Nations Committee on the Elimination of Discrimination against Women (CEDAW) in Geneva, Switzerland, chairperson Nicole Ameline praised Venezuela’s efforts and success in increasing gender equality. According to 2013 data, 48 percent of positions employed by the Venezuelan state are currently occupied by women. Comparatively, only 16 percent of public office positions in the United States are held by women. In addition, 55 percent of grassroots government, such as communes and communal councils, is led by women. Among the presidential councils, a unique representational mechanism, 486 women’s organizations actively participate nationwide. In Venezuela education and health is free for all citizens and, up to February 2015, the Venezuelan government had built and handed out 675,991 homes in the last four years, in the Great Venezuelan Housing Mission. This Mission (GMVV) began in 2010 under the leadership of former President Hugo Chavez to provide homes for families affected and displaced by landslides from heavy rains. Since its introduction, the program expanded to resolve Venezuela’s housing deficit. Through the program, families are provided with the houses – equipped with all appliances and furniture – and the titles to the property, free of cost. Despite all this; in fact, because of all this development for the poor, there are those who would like to reverse the process started by Hugo Chavez. However, they have not been able to do so through the ballot as the ruling party, the United Socialist Party of Venezuela, has consistently won national elections since Chavez became President. In addition, they cannot claim that elections were rigged as, according to past US president Carter: “As a matter of fact, of the 92 elections that we’ve monitored, I would say that the election process in Venezuela is the best in the world” said Carter. Having failed consistently to remove the socialist government from office through elections, the local oligarchy, backed by imperialism, has resorted to destabilizing the country. One form of destabilization which, among others, was successfully used in Chile and Jamaica was to hoard basic consumer items like cooking oil, bread and flour and to blame the government for the shortages, price increases and general dislocation which this created. 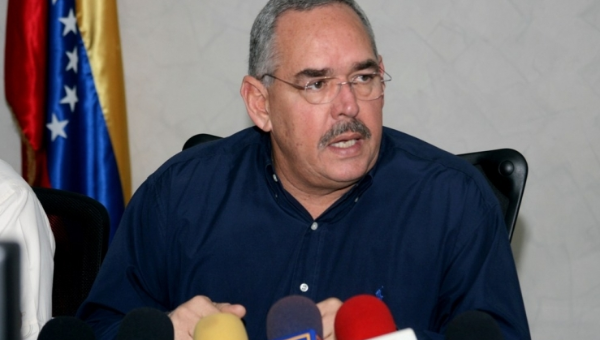 Hence, we should fully understand when Venezuela’s state governor Francisco Rangel, from the ruling Socialist Party, said the looting was politically motivated. Rangel explained that a “gang” of 40 people on motorbikes fired their guns in the area and incited people to rob the shops. “A group of armed motorcyclists arrived and said they were going to loot certain establishments,” he told Venezuelan television station Globovision. “I’m sure it wasn’t spontaneous but rather planned with a political motive.” The governor said more than two dozen people were arrested in connection with the looting and added that there was no excuse for the behaviour. “No one is starving,” he said. Venezuela has been grappling with worsening shortages of basic goods like cooking oil and flour. President Nicolas Maduro also maintained that the violence was premeditated and blamed the US for being behind it. Maduro said US General John Kelly, Marine Corps commander of the Southern Command, had predicted in February that there would be a “social implosion” in Venezuela in July. The incident comes as Venezuela is facing shortages of key goods, with the government arguing that business sectors are causing most of the shortages in order to delegitimize the government and to make large profits. According to the local newspaper El Correo del Caroni, Gustavo Patinez was shot 60 meters from the main site of looting. Four shops were looted and wrecked, and a cereal transport truck was also attacked. Over the last two years, sectors of the Venezuelan opposition have organized violent blockades, known as “guarimbas.” The blockades saw 43 people killed last year. It also stopped food trucks from reaching populations and stopped people from getting to hospitals, schools, and work. Numerous public buses, bus stops, and food trucks have also been destroyed, usually by being set on fire. Businesses also often force people to line up to buy basic foods, though organized communities have found that the lines are often unnecessary and add to a general feeling of insecurity, economic chaos, and distrust in the political stability of the country.